In the construction world, self-healing materials can save untold amounts of money by greatly reducing repair costs. But most self-healing materials have the massive drawback of being very expensive to produce. 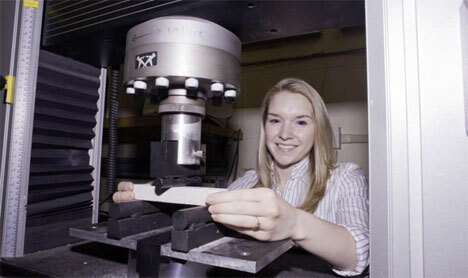 Now, an engineering student at the University of Rhode Island named Michelle Pelletier has developed a cost-effective self-healing concrete that could mean great things for the future of the construction industry. 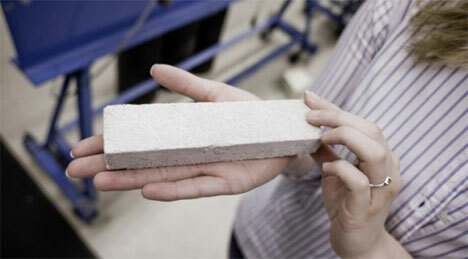 Pelletier worked with Arjit Bose, a Chemical Engineering professor at the University of Rhode Island, to create her unique form of self-healing concrete. Other similar self-healing materials use external factors to trigger the healing mechanism, but Pelletier’s invention is embedded with tiny capsules of a sodium silicate healing material that rupture when cracks form in the concrete. The gel spills out, repairing the cracks, and hardens within about a week. In extreme stress tests, the self-healing concrete regained about 2.5 times more of its original strength than traditional concrete. See more in New Materials or under Science. August, 2010.